Artificial intelligence poses a wide range of hidden and unknown dangers for enterprises deploying the technology. Here’s how to guard against the legal and compliance risks of AI. Artificial intelligence (AI) is cropping up everywhere in business, as organizations deploy the technology to gain insights into customers, markets and competitors, and to automate processes in almost every facet of operations. But AI presents a wide range of hidden dangers for companies, especially in areas such as regulatory compliance, law, privacy and ethics. There is little visibility into how AI and machine learning technologies come to their conclusions in solving problems or addressing a need, leaving practitioners in a variety of industries flying blind into significant business risks. The concerns are especially relevant for companies in industries such as healthcare and financial services, which have to comply with a number of government and industry regulations. Financial technology companies are investing heavily in AI, but the losses and/or administrative actions that might result are potentially catastrophic for financial services companies, Farris says. “If an algorithm malfunctions, or even functions properly but in the wrong context, for example, there is a risk of significant losses to a trading company or investors,” he says. Unlike a physician, who might have the value of other contextual information about a patient, or even intuition developed over years of practice, the results from AI and machine learning programs can be narrow and incomplete. “Reliance on such results without the benefit of medical judgment can actually cause worse patient outcomes,” Farris says. And like humans, machines will make mistakes, “but they could be different from the kinds of mistakes humans make such as those arising from fatigue, anger, emotion, or tunnel vision,” says Vasant Dhar, professor of information systems at New York University and an expert on AI and machine learning. When machines learn to improve on their own, humans are responsible for ensuring the quality of this learning process, Dhar says. “We should not trust machines with decisions when the costs of error are too high,” he says. The first question for regulators, Dhar says, is do state-of-the-art AI systems — regardless of application domain — result in acceptable error costs? For example, transportation regulators might determine that since autonomous vehicles would save 20,000 lives a year, the technology is worthwhile for society. “But for insurance markets to emerge, we might need to consider regulation that would cap damages for errors,” he says. In the healthcare arena, the regulatory challenges will depend on the application. Certain areas such as cataract surgery are already performed by machines that tend to outperform humans, Dhar says, and recent studies are finding that machines can similarly outperform radiologists and pathologists. In the future, as machines get better through access to genomic and fine-grained individual data and are capable of making decisions on their own, “we would similarly need to consider what kinds of mistakes they make and their consequences in order to design the appropriate regulation,” Dhar says. In addition to regulatory considerations, there are legal ramifications for the use of AI. “The main issue is who will be held responsible if the machine reaches the ‘wrong’ conclusion or recommends a course of action that proves harmful,” says Matt Scherer, an associate with the international labor and employment law firm Littler Mendelson P.C., where he is a member of the robotics, AI, and automation industry group. Someone at the organization using AI will need to take accountability, says Duc Chu, technology innovation officer at law firm Holland & Hart. “The first issues that come to mind when artificial intelligence or machine learning reach conclusions and make decisions are evidence, authentication, attestation, and responsibility,” he says. In the financial industry for instance, if an organization uses AI to help pull together information for financial reports, a human is required to sign and attest that the information presented is accurate and what it purports to be, and that there are appropriate controls in place that are operating effectively to ensure the information is reliable, Chu says. 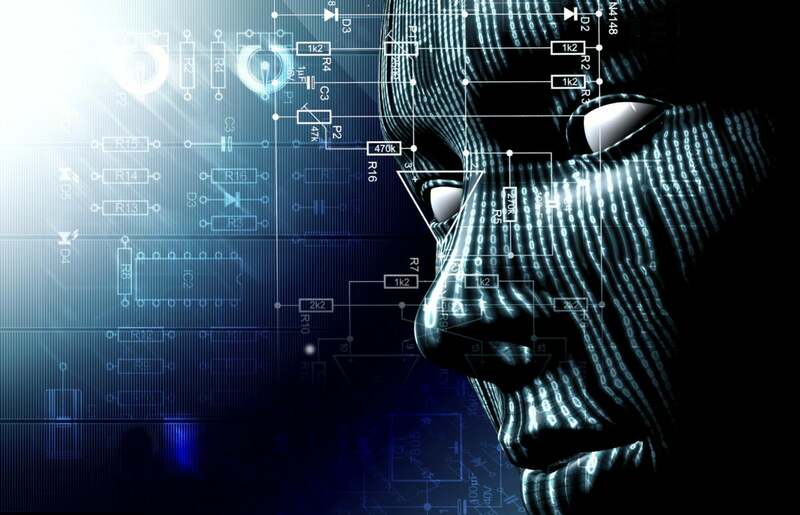 Since AI — and in particular neural networks — are not predictable “it raises significant challenges to traditional [tort law], because it is difficult to link cause and effect in a traditional sense, since many AI programs do not permit a third party to determine how the conclusion is used,” says Mark Radcliffe, a partner at DLA Piper, a global law firm that specializes in helping clients understand the impact of emerging and disruptive technologies. Organizations can do a number of things to guard against the legal and compliance risks related to AI. One key requirement is to have a thorough grasp of how machines make their decisions. That means understanding that legislatures and courts and juries are likely to frown on the creation and deployment of systems whose decisions cannot properly be understood even by their designers, Scherer says. Companies need to consider whether they can design a system to “track” the reasoning at a level which would satisfy regulators and legal thresholds, Radcliffe says. “Regulators may encourage such transparency through rules of liability and other approaches,” he says. Enterprises should be participating in the rule making with the relevant regulatory agencies that are developing the rules governing their operations, to ensure that they are realistic. “Government agencies cannot make practical rules without the real-world input from the industry,” Radcliffe says. Organizations should also be well versed in knowing when it’s safest to rely on AI conclusions vs. human decision making when liabilities are a factor. “This concern will vary by industry and even within industries,” Radcliffe says. In addition, companies need to consider how to allocate liability between themselves and their customers and business partners for the use of AI. “For example, if a company develops an AI application for a bank, the parties would consider who would be liable if the AI program creates regulatory problems, such as ‘redlining,’ or makes mistakes [such as miscalculating payments], since such issues have no precedent and the parties can design the allocation of liability between them in the contract,” Radcliffe says. AI is improving when it comes to neural networks, but companies that want to control regulatory and legal risk should continue to rely on AI as one factor among many within a human decision-making process, Farris says.